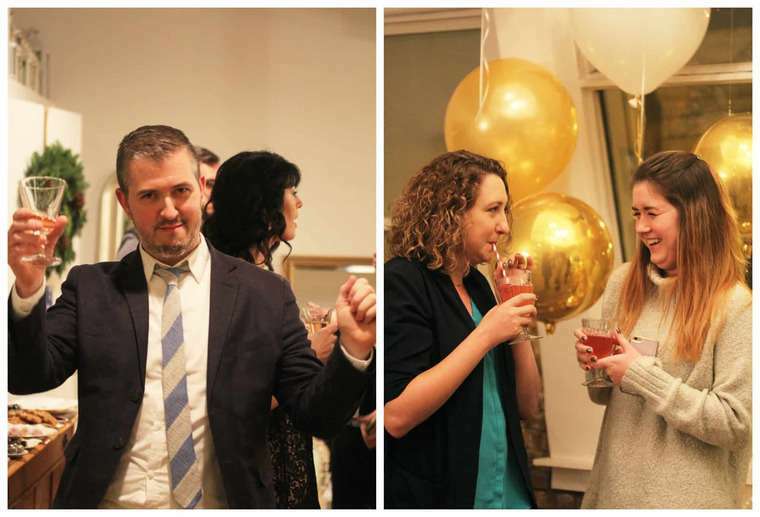 Disclosure: This holiday party post is sponsored by Barefoot Bubbly but all opinions expressed here are my own. Thank you for the partnership. 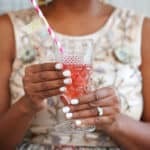 Check out my amazing holiday glam DIY party featuring Barefoot Bubbly! The holidays are in full swing! That means it is officially celebration central here at Grandbaby Cakes! 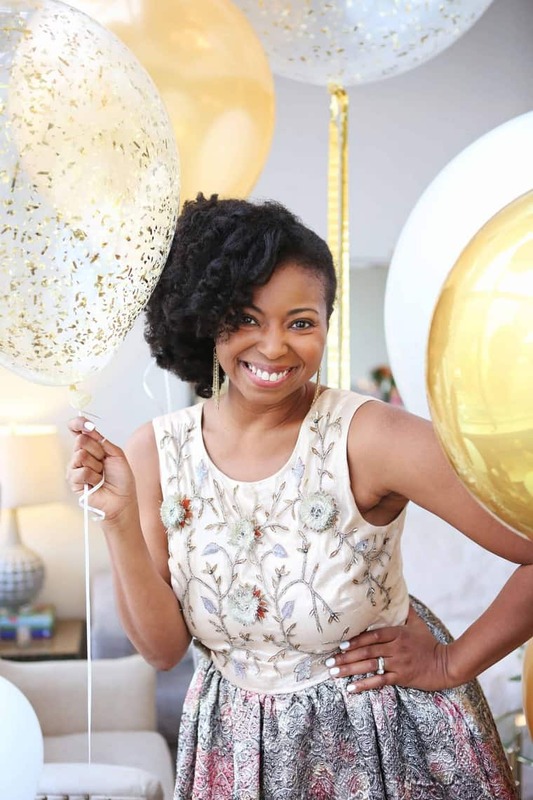 If you have a holiday party coming up, you will definitely want to check out the gorgeous holiday gathering I hosted last week with the help of Barefoot Bubbly and some amazing ladies at the DL Loft here in Chicago. 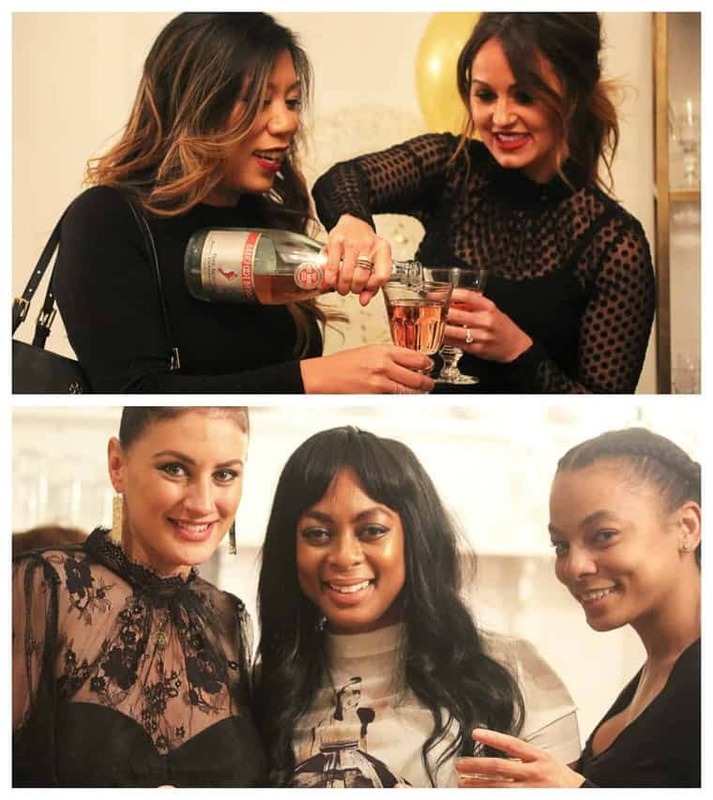 This get-together was all about DIY, glam, fun and friends. This was not a party you have seen time and time again. We created some inspiring themes and projects that took the average holiday gathering to another level. 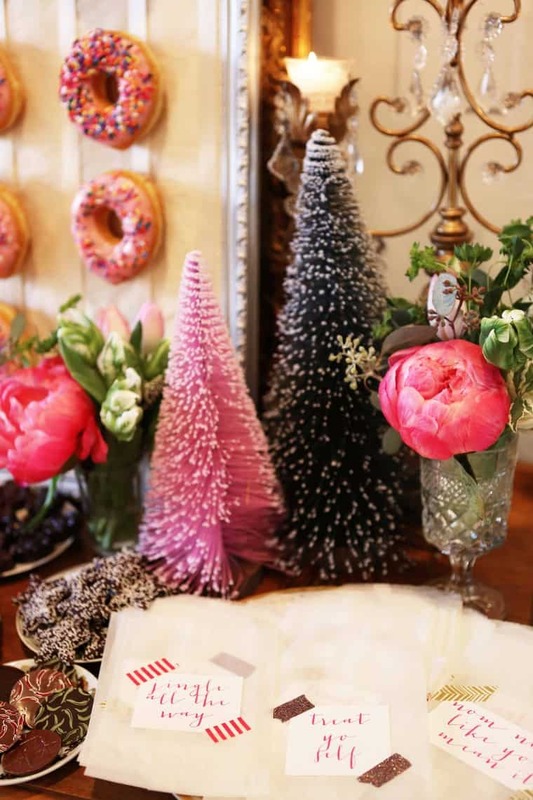 There is no reason why your small celebrations shouldn’t have big decor and bold design this holiday season! 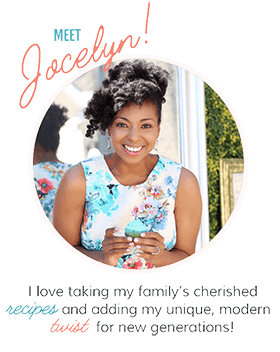 If you are hoping to add some exciting DIY concepts to your holiday party that will make your holidays even more special, here are some great tips and ideas. Let’s start with cocktails because honestly, what is a holiday party without them? 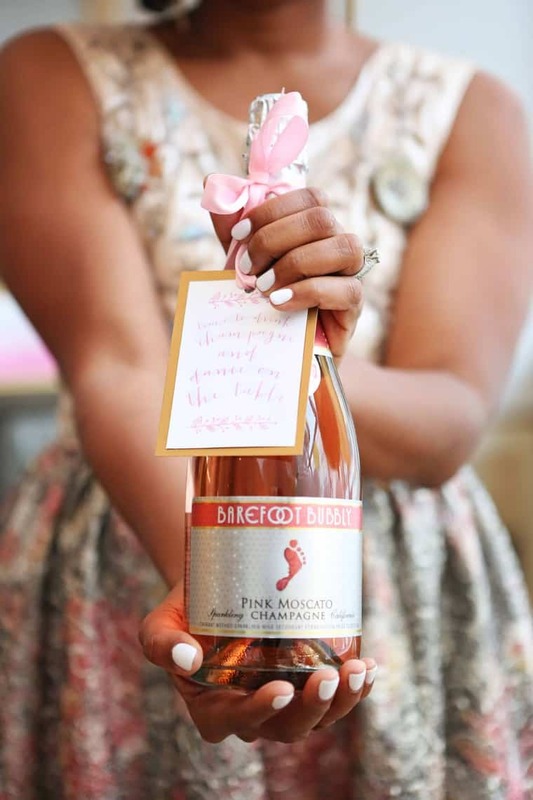 We created a fun Barefoot Bubbly station that was very DIY. You simply start with the bubbly. 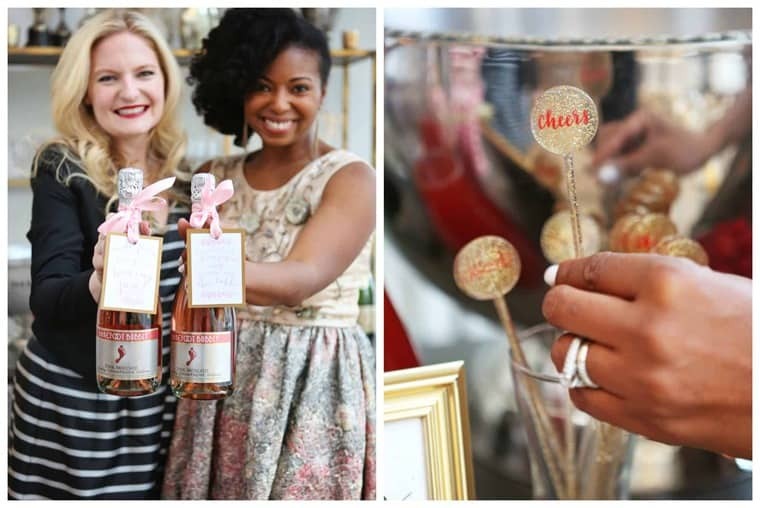 We featured Barefoot Bubbly Brut Cuvee, Extra Dry, Moscato Spumante, and Pink Moscato in the designated bar area. The bottles had the cutest little tags on them that said things from “Cheers To You” to “A Toast To The Host”. The bubblies were perfectly paired with two simple syrups made in great winter flavors like blood orange and pomegranate. To make those, I simply added the juice of the fruit, along with water and sugar to a pot and let it combine and simmer until the syrup was made. More instructions are below if you want to make them yourself! I poured the simple syrups into beautiful glassware and placed them next to the bubbly for self serving. 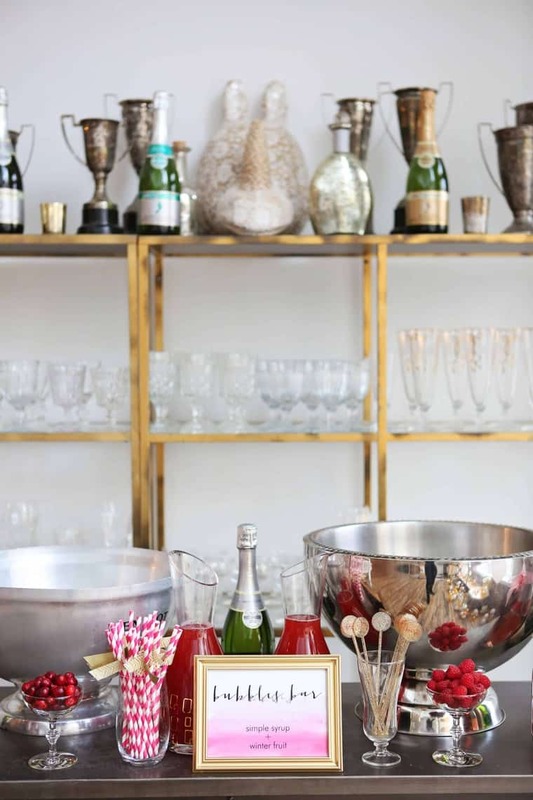 My blogger pal Kit of The Kittchen and I made a few drinks before guests arrived. 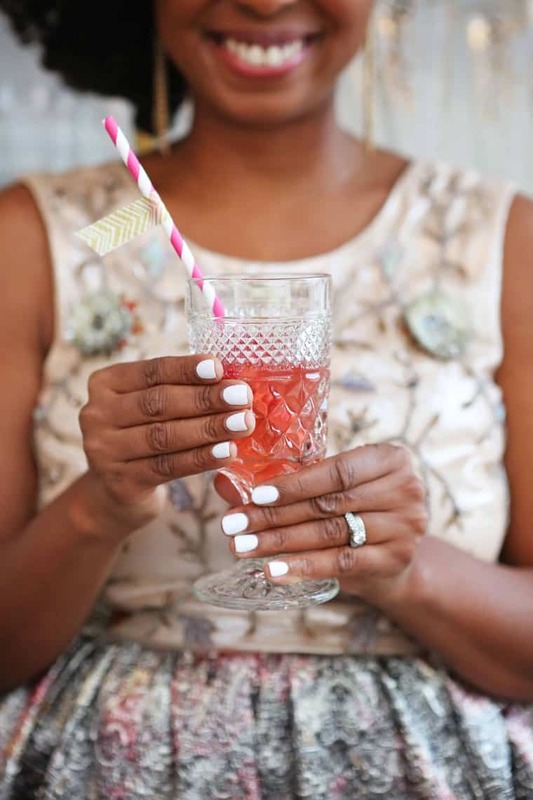 Having some beautiful fruit available is also perfect for fancying up the bubbly but the cutest addition were the straws and stirrers that said “Cheers”! 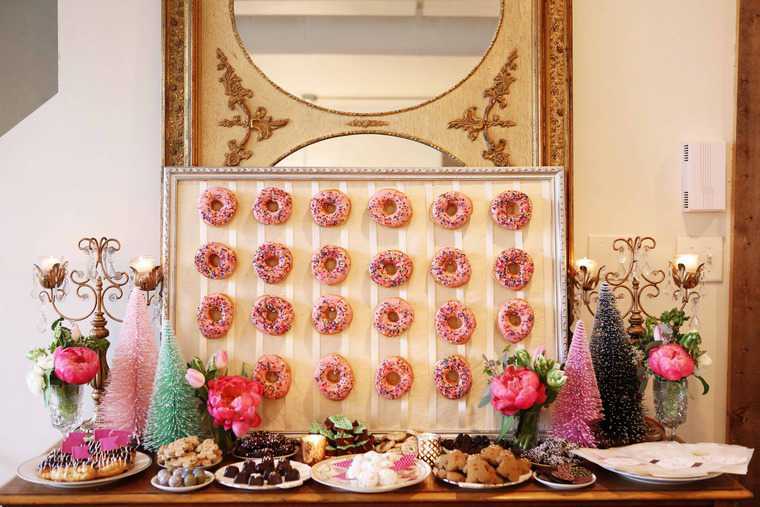 Another adorable DIY element of the party was the doughnut wall behind the dessert table, which I can’t get over! My girl Debi Lily, the most incredible event designer in the game, came up with this genius idea. You can buy a few dozen sprinkled doughnuts from your local grocery store or donut shop, add tacks to a decorated cork board and place the doughnuts on the tacks. 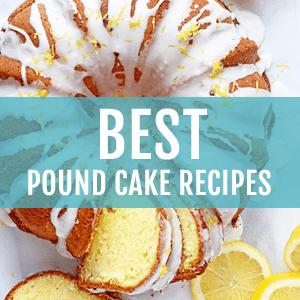 It is so festive, and it will immediately add so much zest to your party! We also left cute goodie bags with holiday sayings so everyone could load up on gingerbread men, brownies, truffles, and of course, doughnuts before they left. 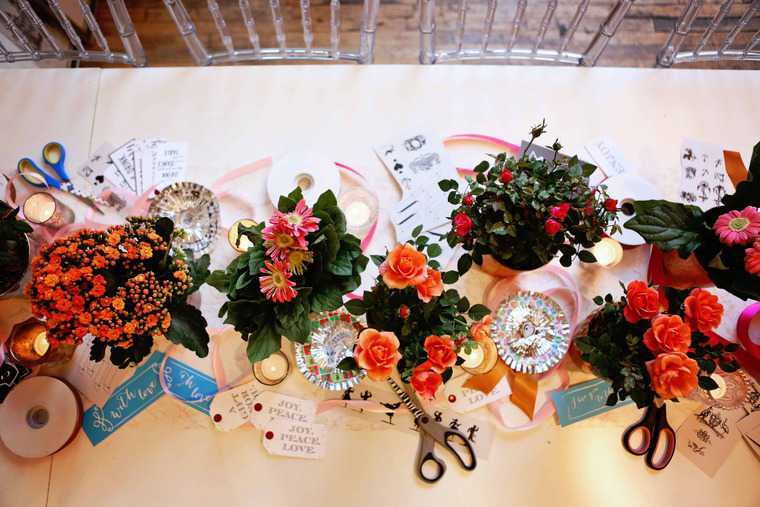 Finally, we created a fun table decorated with crafty items like ribbon, scissors and signage. This really reinforced the DIY theme we had going all night. It also was a unique way to create centerpieces that would be conversation starters. After a few hours of setup, it was officially time to partay! We set out all of the bubbly and iced them with cranberry ice cubes. 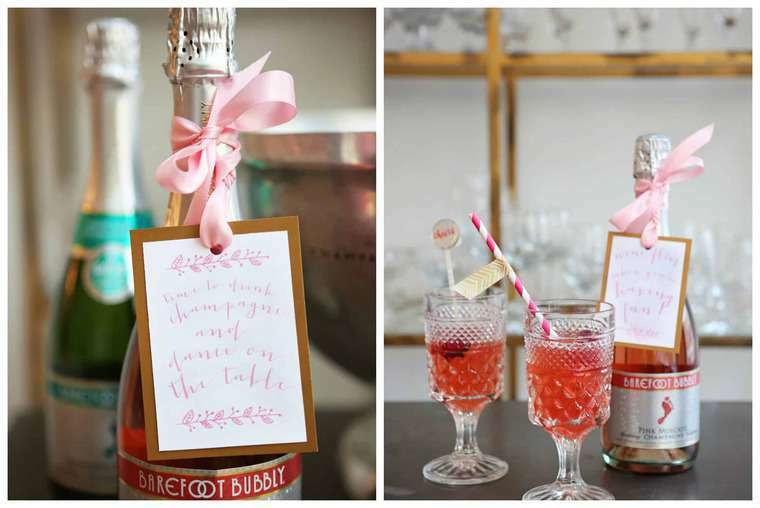 Guests, of course, made their way directly to the bubbly area and DIY-ed their own cocktails. It was super fun walking around and seeing everyone enjoying themselves and all of the amazing unique touches. It made me remember that holiday events like this are all about friends and joy. For your own holiday parties this season, remember to laugh, enjoy each other’s company and savor the beauty of the season. And of course, don’t forget the bubbly because sometimes life is better with Bubbly. 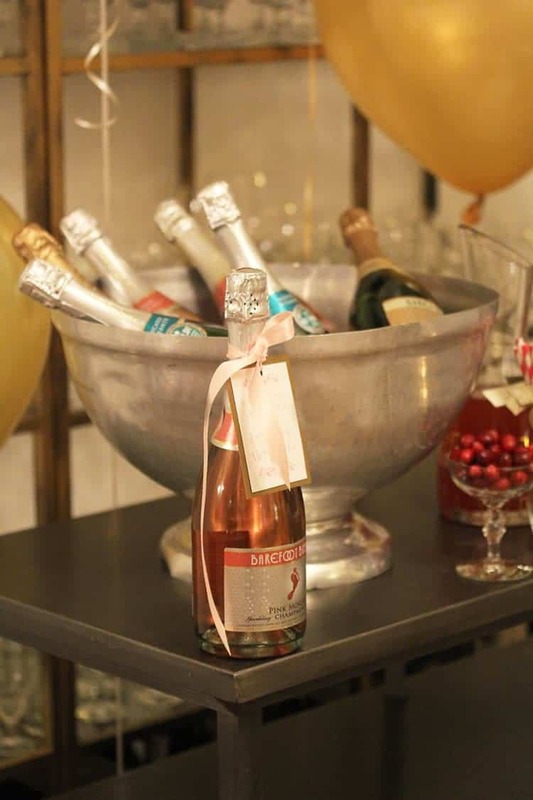 Sometimes a party just needs some bubbly! Add sugar, water and blood orange juice to small pot over medium heat. Bring to a simmer and allow sugar to evaporate and once syrup reduces by ¼ to ⅓ and thickens, turn off heat and cool. 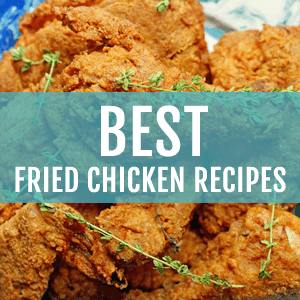 Stir in club soda and pour into glassware for serving. 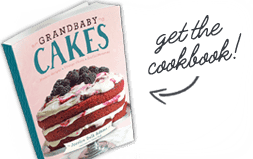 Repeat steps from the blood orange syrup recipe except replace juice with pomegranate juice. Simply pour ¼ cup of sparkling syrup into glass then top off with bubbly. Add a few berries and seeds for garnish and serve. Well this looks like the most FABULOUS party ever!!! I love everything about it! I love everything about this! So much fun!! Such great tips! Looks like an amazing party! What a beautiful party setup! So much fun! 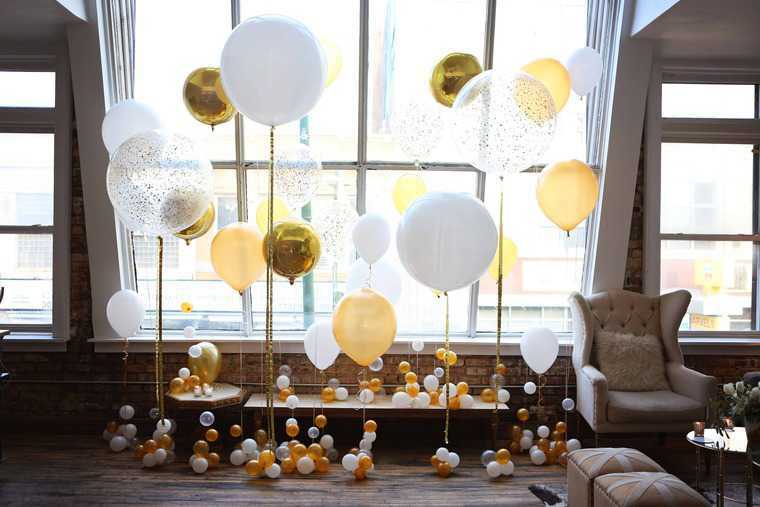 What a fun party, and I love the color scheme! Cheers! What a fantastic party! 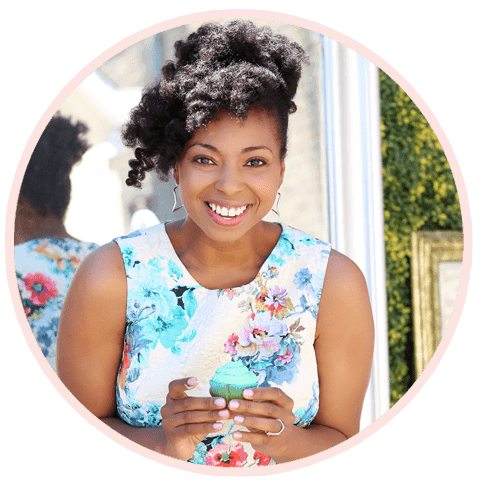 I love the bubbly and the donut wall! Also the pictures are to die for!!!!!!!!!!! I’m in awe of your party-throwing skills!!! It was truly so much fun! Everything looks fabulous! Thanks so much for sharing with us! It was such a blast! Thanks Jenn!